China’s newest Type 002 aircraft carrier will feature three steam catapults allowing jets with heavier load and endurance to be launched from it, according to local media. The time-proven design was chosen over more advanced EM launch systems. 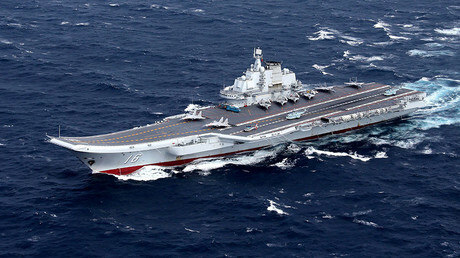 While little is reliably known about the Type 002, China’s third and latest aircraft carrier under development, it emerged that it would be fitted with “at least three conventional steam launch catapults,” according to the South China Morning Post (SCMP), citing a source close to the navy. The Type 002 is the latest development of China’s ambitious aircraft carrier program, which includes building at least two such ships to counterbalance US naval power in the Asia-Pacific. 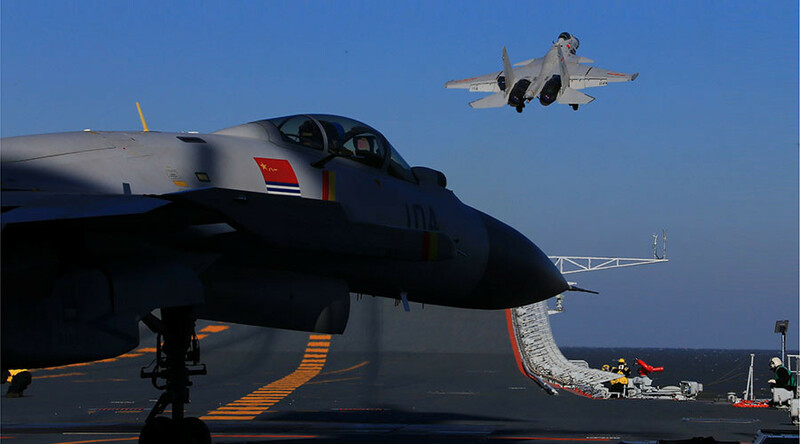 The Chinese Navy currently operates its first carrier, the ‘Liaoning,’ to train crews and test technology, while the ‘Shandong,’ a Type 001A, is expected to enter service in the next few years. The design of the ‘Shandong’ is heavily based on that of the ‘Liaoning,’ which is a retrofitted Soviet warship ‘Varyag.’ It has steam turbine propulsion and features no catapults, relying on a ski ramp to launch fixed-wing aircraft. Some rumors suggested that the Type 002 aircraft carrier may feature nuclear propulsion and an advanced electromagnetic launch (EM) system, but the SCMP source says this will not be the case. “There are still some technical problems applying nuclear propulsion to the carrier platform, so the Type 002 will still use steam catapults,” the source said. 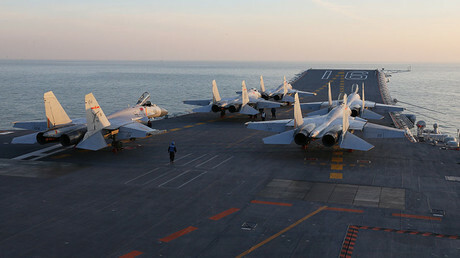 Some carrier jets such as the J-15, Mig-29K, and Su-33 rely on their own engines to accelerate to flight speed using a ski jump, but they have to take off with a reduced fuel load and armaments to do so, which limits their range and combat capabilities. A catapult is another solution, which has been extensively used by US Navy aircraft carriers throughout the decades. It uses a track built into a flight deck to help an aircraft speed up to a point where it can take off. Larger warplanes with heavier loads, including the E-2 Hawkeye and S-3 Viking airborne early warning (AEW) aircraft, can be operated from an aircraft carrier this way. An Electromagnetic Aircraft Launch System (EMALS) generates the force necessary to speed up a launching aircraft via a linear motor rather than a steam piston drive and has a number of advantages over the steam catapult. The drawback is that it has high electric energy consumption that only a nuclear powerful reactor can feasibly provide. The development of the Chinese People’s Liberation Army (PLA) Navy comes as Beijing increasingly projects its military power in the Asia-Pacific. Washington and its regional allies seem to be increasingly wary of China’s ambitions to build a blue-water navy, which they see as an attempt to resolve by force territorial disputes, including those in the vital South China Sea area.